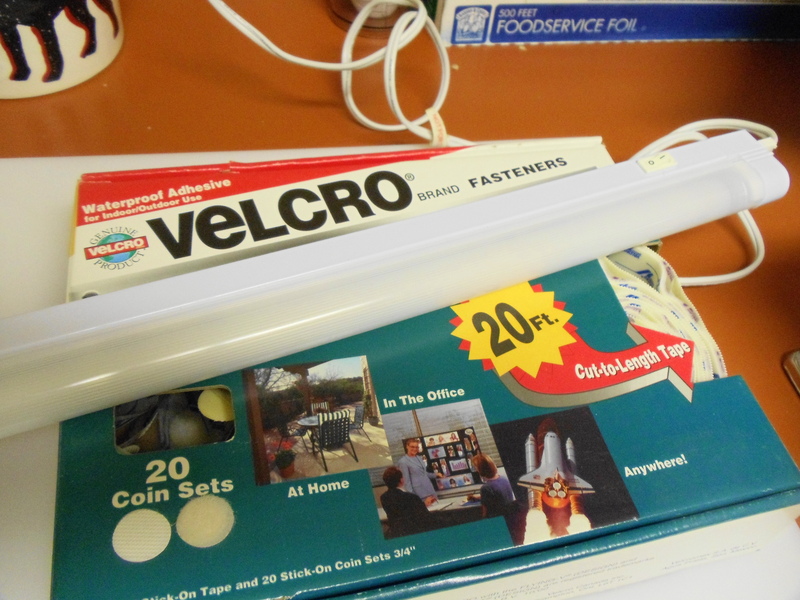 Items you will need: sticky velcro, an under-the-counter light, and scissors. 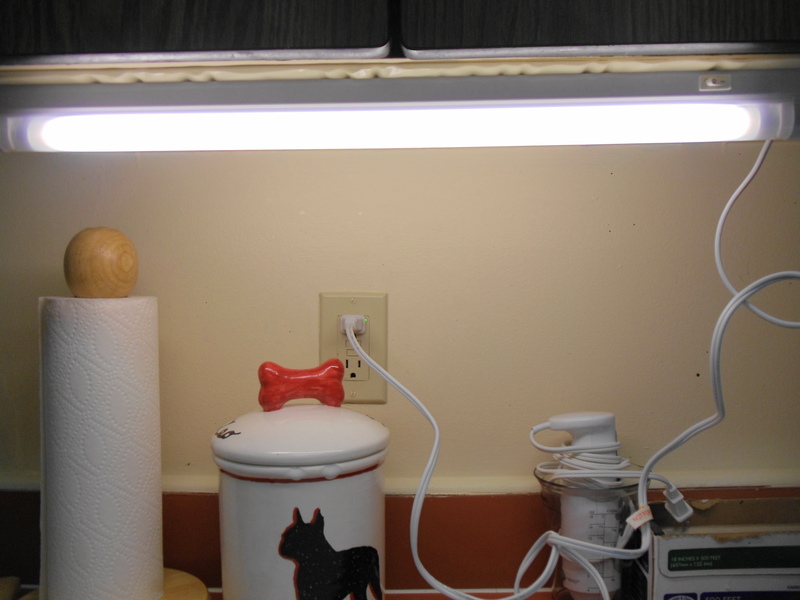 Make sure the area that you plan on putting light is clean and dry. 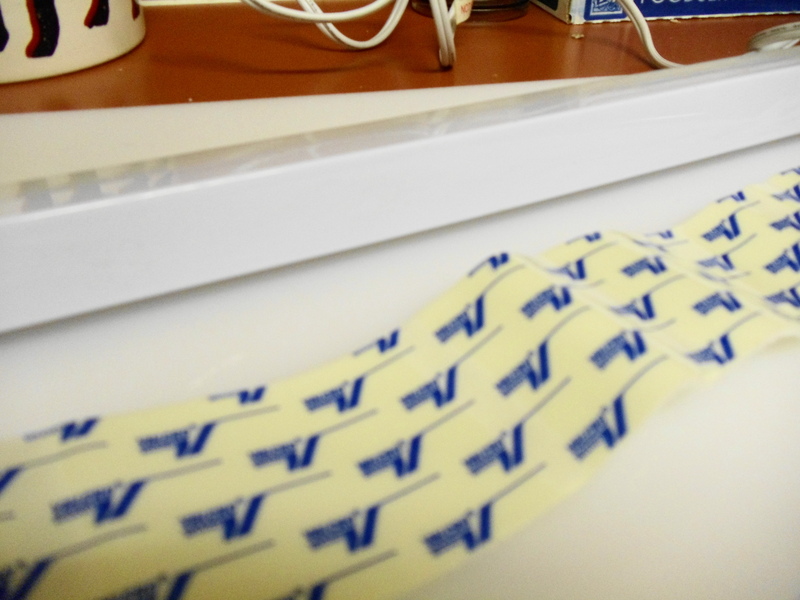 Cut your velcro just a tiny bit longer than the length of your light. 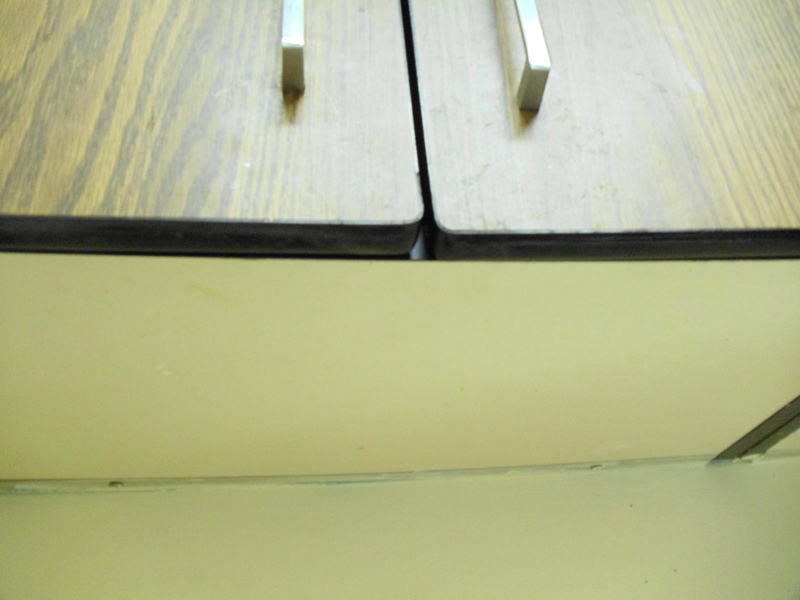 Remove backing off one side of your velcro to expose sticky. 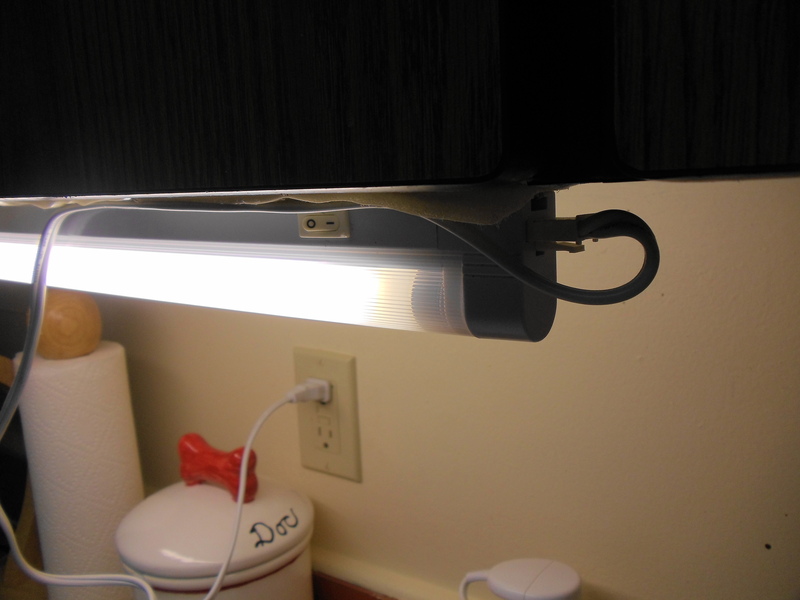 Attach to clean surface where you plan on putting light. 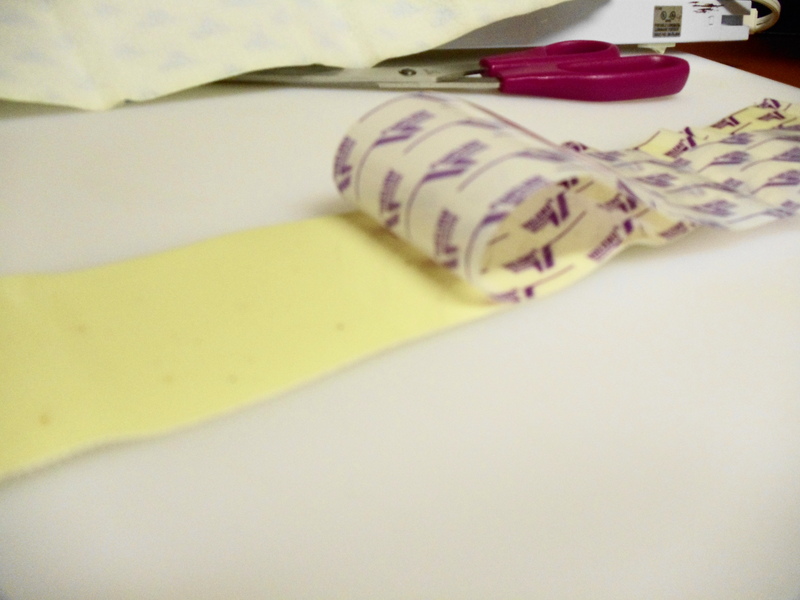 Make sure to press firmly so that velcro will adhere to surface and to get air bubbles & bumps out (as many as possible). 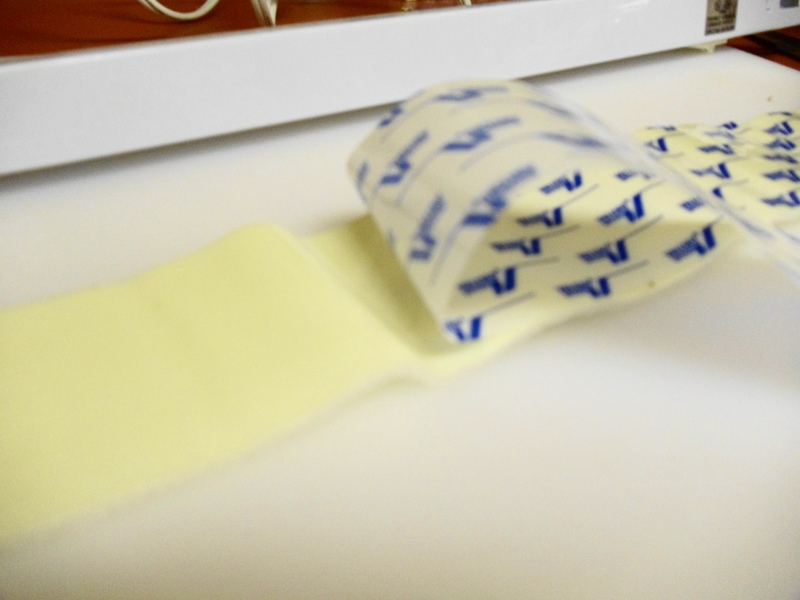 Now take your other piece of velcro. 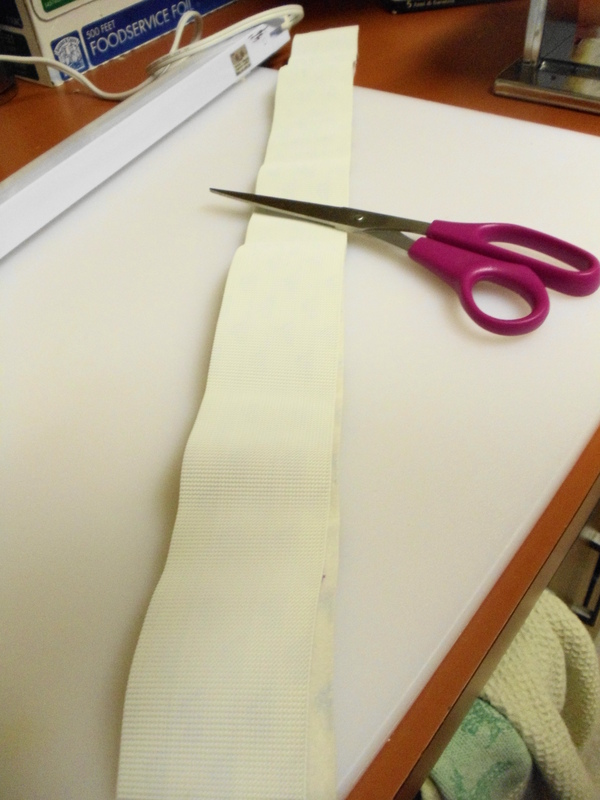 Remove backing to expose sticky. 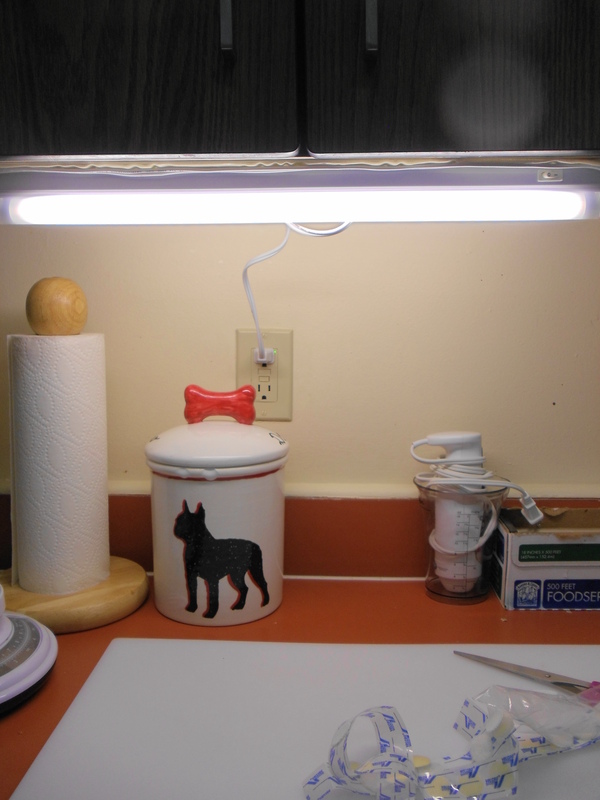 Place on the flat side of your under-the-counter light. 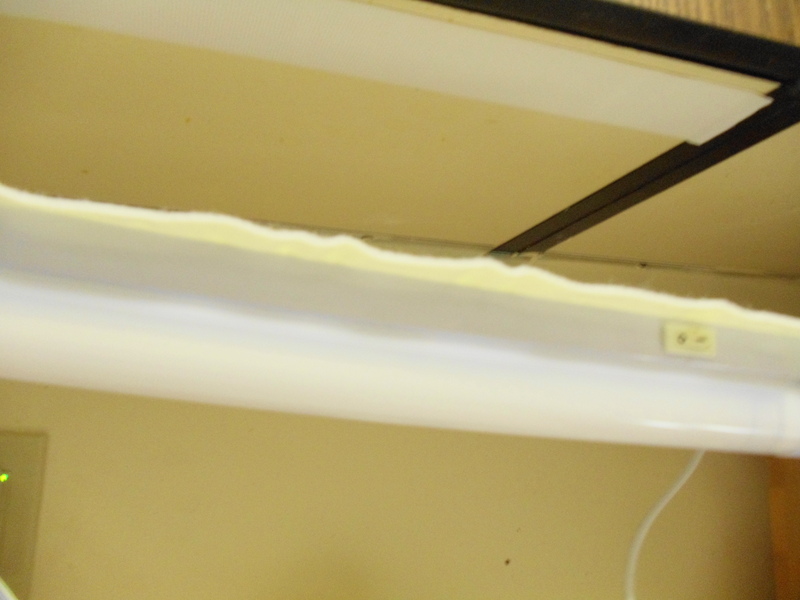 I placed my piece of velcro on a flat surface, sticky side up, and then pressed my under-the-counter light down on it, making sure it is firmly attatched. 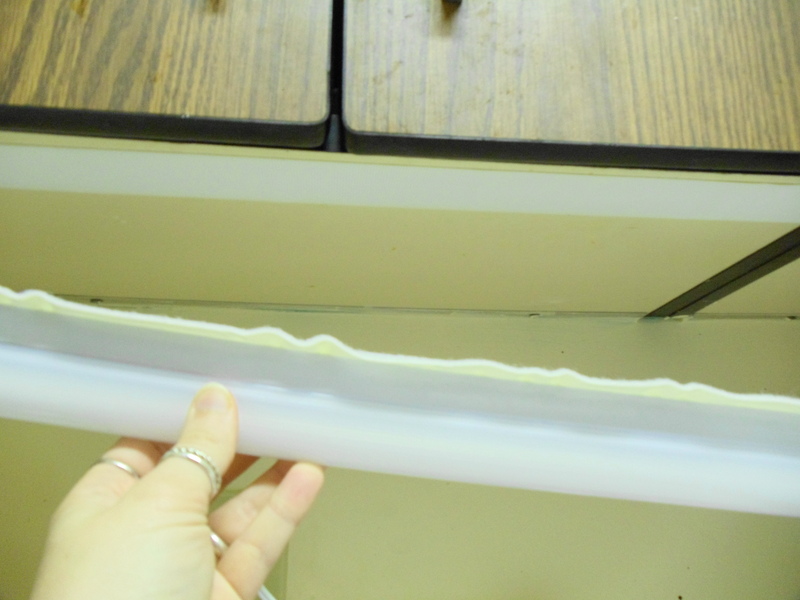 Line up your under-the-counter light with your already attached velcro. 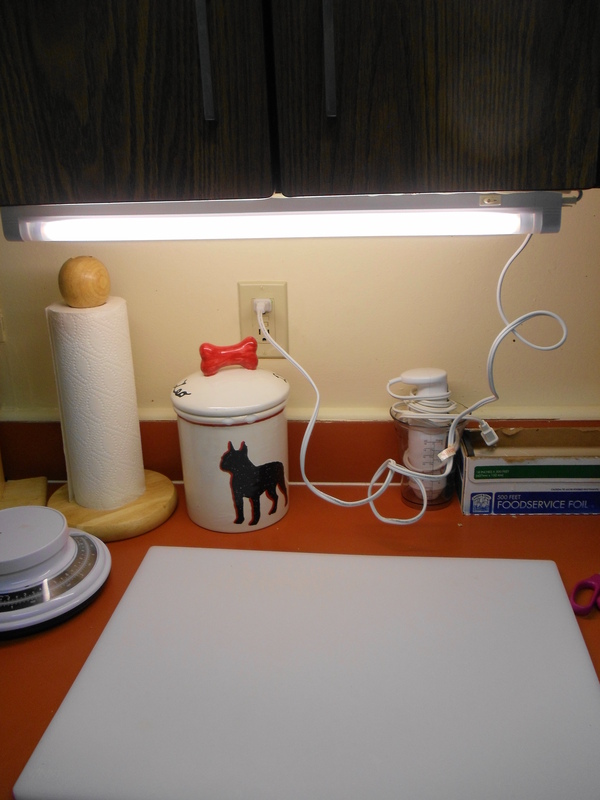 Once you get the light in place use gentle pressure and push up to make sure it is attached well. 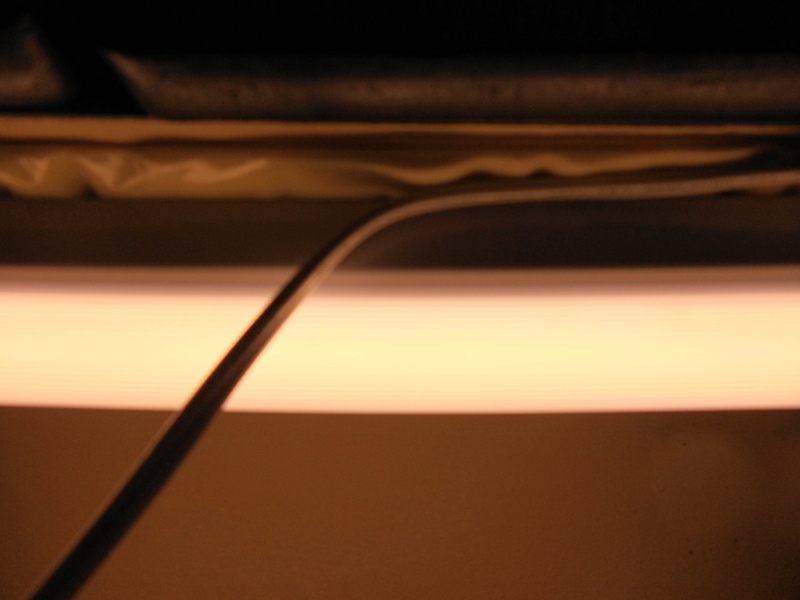 Now that we have lighting, we have an issue….do you see what it is? Yes, the cord is hanging in the way. 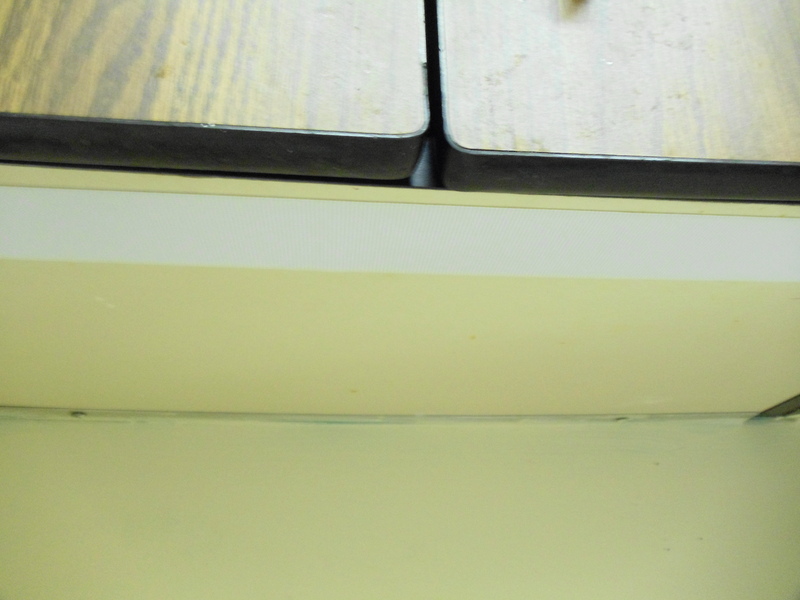 Now how to get it out of the way? Now is when the extra vecro width comes in handy. 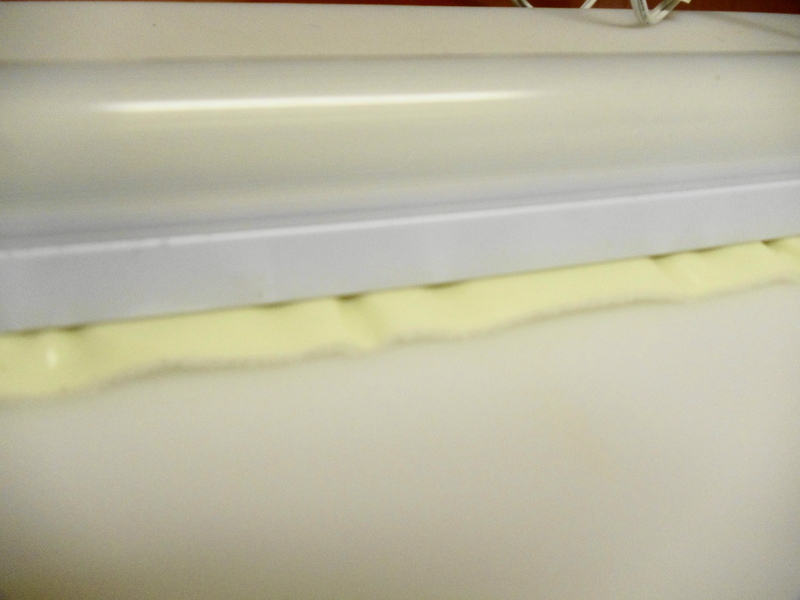 Take your cord and push it up flat on the sticky outside section of your velcro. 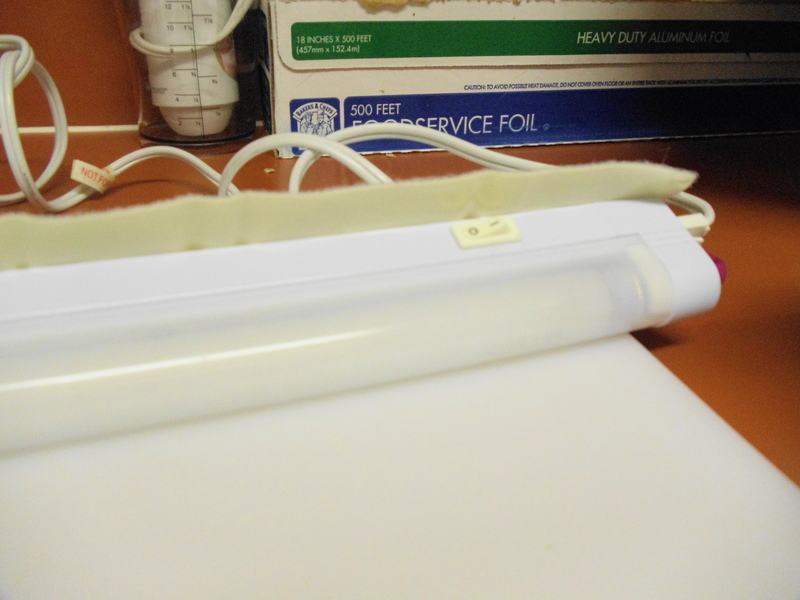 It works like a charm…making sure the cord is flat, press it to the sticky section of the velcro all around the light to hold it in place. 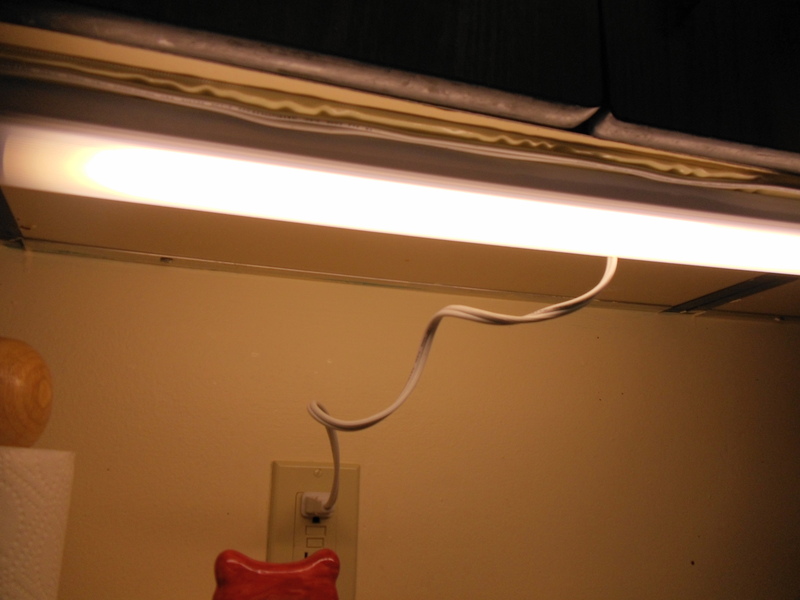 Now the only issue we have is that tiny bit of cord that dangles between the light and the plug in. 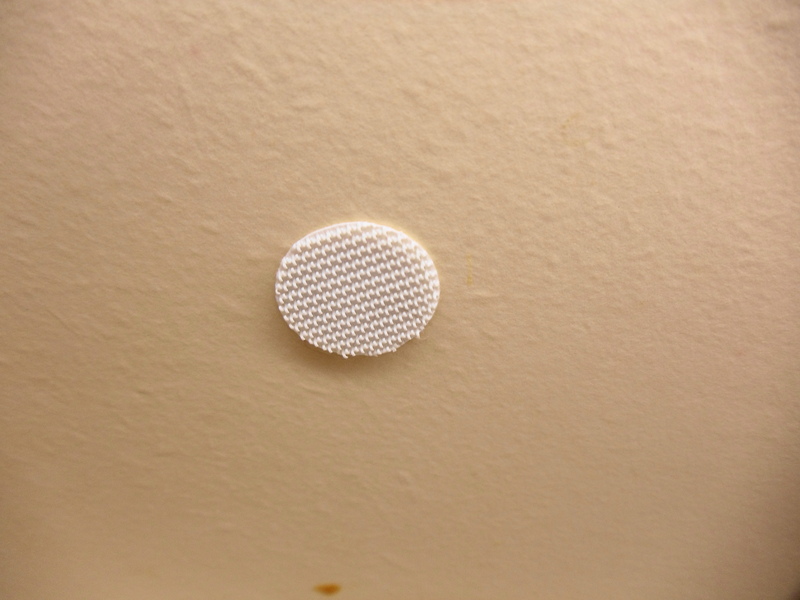 Take a set of your velcro dots. 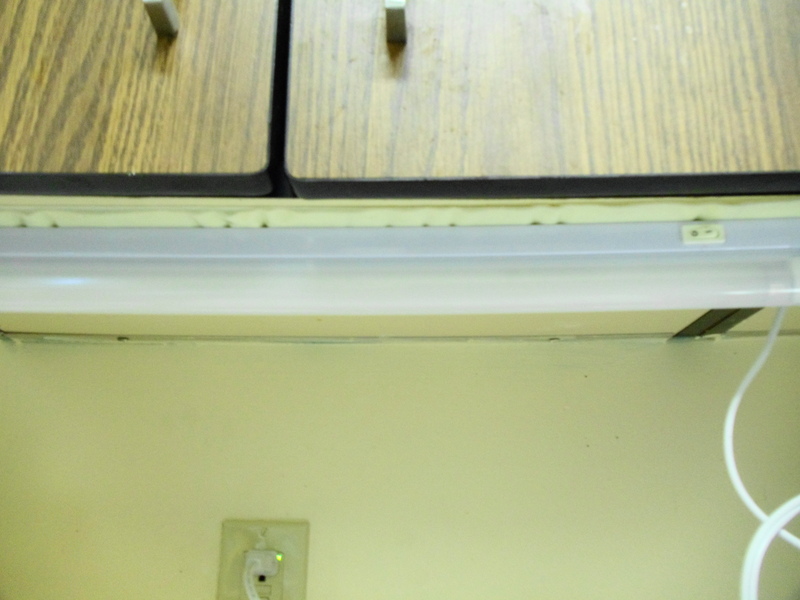 Remove the backing off of one half and stick dot on the underside of cupboard in a location that will hold that little bit of cord up. 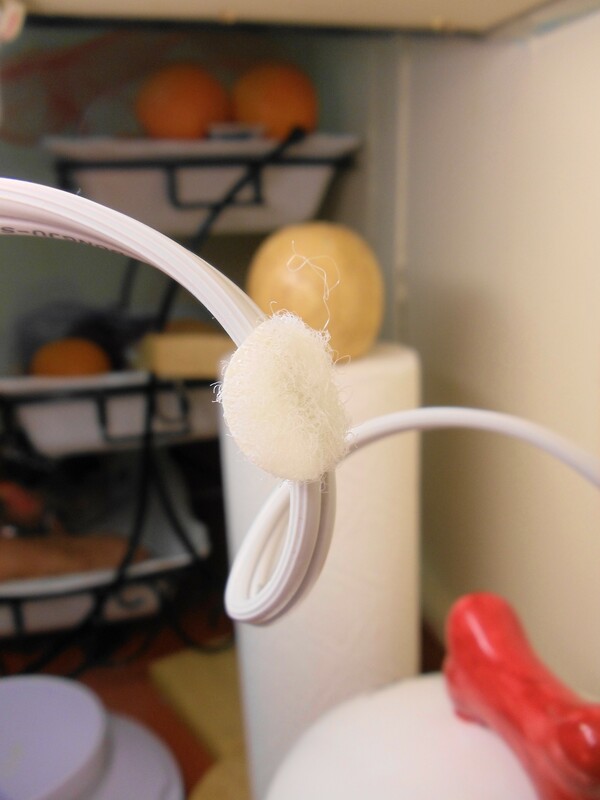 Stick the other dot of velcro to the cord, then stick the two velcro dots together, holding the cord out of the way. All finished. 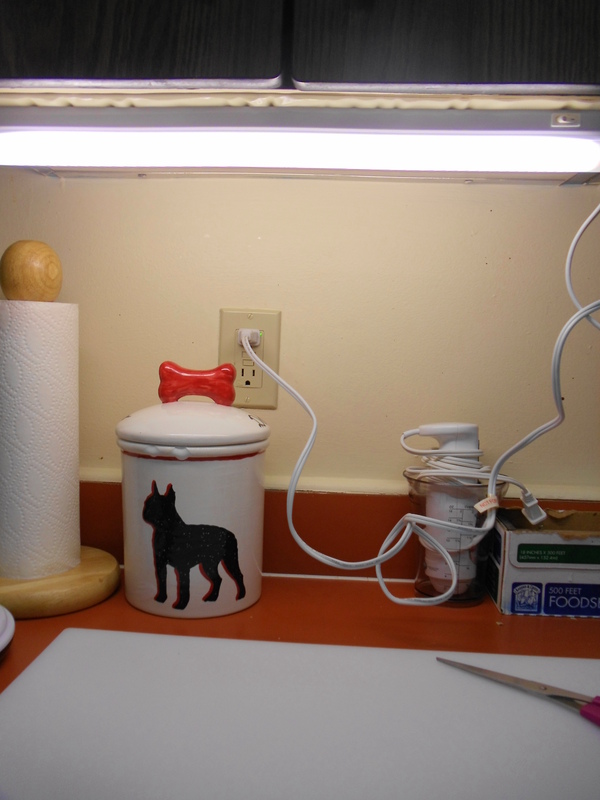 You know have good lighting and the cord is out of the way.